A new project aims to monitor water levels in the Murray district. 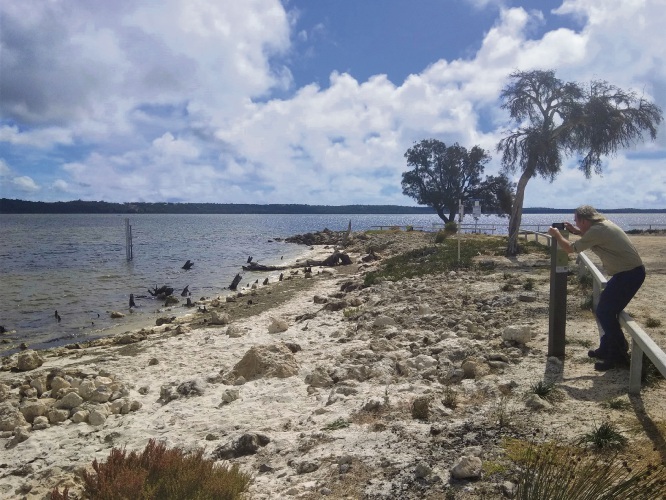 CITIZEN science will play a pivotal role in monitoring the impacts of climate change and coastal erosion in the Murray district, as part of an estuary photo-monitoring project. Six photo-monitoring points have been established at locations around Herron Point and the lower reaches of the Murray River, to encourage members of the public to help with data generation when visiting the sites. According to Shire president David Bolt, the capture and upload of images portraying site conditions over time could significantly aid the creation of important long-term data. “The Peel-Harvey Estuary has over recent years been significantly impacted by erosion and tidal wear as well as the resultant death of fringing vegetation,’’ he said. The initiative forms part of a broader Shire water level monitoring program incorporating a further six sites at which water level gauges are fixed close to existing infrastructures. The Shire of Murray expects the program will help inform and develop plans for the protection and management of infrastructure, natural areas, heritage and private property. Photographs will be stored per site in publically accessible libraries. Cr Bolt urged the community to support the project. “Data modelling and computer forecast methods are still evolving, rendering actual on-site monitoring an important and critical part of the feedback process to help improve our knowledge and the predictive science,’’ he said. The project has been developed by the Shire of Murray in conjunction with the Peron Naturaliste Partnership and Coastwest.